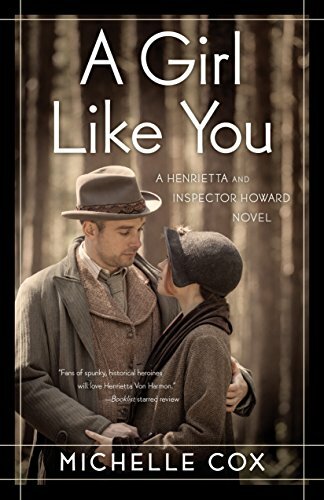 “A Girl Like You” by Michelle Cox takes readers on a journey into the life of Henrietta Von Harmon, during the turbulent times of the 1930s. Born and raised in Chicago, Henrietta finds herself the soul breadwinner of her family, which includes seven siblings and a mother who is hateful and depressed. When Henrietta was 10-years-old, her father committed suicide which surprised everyone and no one could say exactly why it happened. Given the depressed economic times, many said it was due to the loss of his job, but Henrietta felt her mother’s behavior toward him had something to do with it. Desperate for money, Henrietta asks a close family friend for a job cleaning at a somewhat nice, but shady establishment that allows illegal gambling. The owner decides to give her a break and hires her. She is a hard worker, friendly, and moves up quickly in her job to a twenty-six girl. Twenty-six girls make more money and get a percentage of the house profits and Henrietta is willing to put up with what she has to for the extra income. As with most girls her age during that time, Henrietta has been hired for and fired from many jobs as she is not willing to compromise her values. Her boss supports her in this, but due to the cops raiding his business, she must find another job. With the help of a friend, she finds a job at the Promenade as a taxi dancer. Taxi dancers dance with men for money and Henrietta finds herself having to fend off obnoxious men. During one evening, she meets a very nice, handsome man named Clive, who seems to be asking a lot of questions about her job and Madam Leone and what goes on there. After work one night, Madam Leone is murdered and although shaken, Henrietta is once again looking for a job. Clive turns out to be an Inspector and wants Henrietta to help him in solving a case at the Marlowe, where she would be an usherette in another seedy establishment. It seems that many of the women who have worked there have disappeared under unusual circumstances. Henrietta partners with Inspector Howard and he ensures her he will protect her at all costs. Little does she know that he can’t be everywhere all the time and she finds herself in a very dangerous situation. Cox does an excellent job in her description of the era of the 1930s. Her characters are well developed and introduced in a timely manner. “A Girl Like You” by Michelle Cox is very intriguing, well written, and the plot very entertaining. Readers will be drawn into the sights, smells, and seedy side of Chicago.